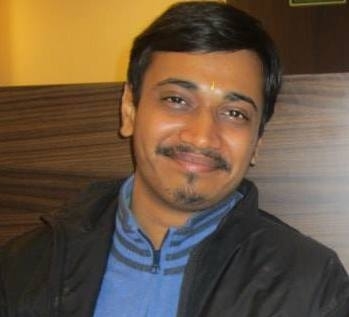 Prathmesh Kallurkar is a Ph.D. student in the Department of Computer Science and Engineering at IIT Delhi. He is working under the guidance of Dr. Smruti R. Sarangi towards his Ph.D. thesis, "Architectural Support For Enhanced Performance of OS Intensive Applications". He is nearing the completion of his Ph.D. program and is looking for industrial positions in the broad areas of computer architecture, high-performance computing, operating systems, and clouds. He is a member of the Srishti research group that has created Tejas. Tejas is a cycle accurate architectural simulator that is written entirely in Java and is shown to be the one of the fastest open-source (Apache v2 license) cycle accurate simulator worldwide (800+ users). Prathmesh is one of the major contributors to this project. He has also instrumented the open source emulator Qemu to generate full system execution traces (application + OS + VMM) for studying the execution patterns of server-class workloads such as web servers, file servers and database servers. He has twice been awarded the "Outstanding Teaching Assistant Award" for his TA contributions to courses where he led a team of roughly 10 teaching assistants for courses with over 200 students. He has mentored the thesis of four masters students, one of which was bestowed with the "Best MTech Thesis" award by the Department of Computer Science, IIT Delhi. Interested employers can check out his Curriculum Vitae for more information.